Running a Business in the U.S. Since 2000, foreign companies doing business in the United States have looked to our Accounting firm for guidance and expertise in establishing and running their U.S. operations. Our services help overcome complexities with the many tax laws, regulations, and rules that can impede success. Selecting the correct business structure is a vital decision when establishing a United States based business. This decision will have a profound impact on taxes and operating flexibility. Our CPA firm will help you determine the best business structure for your specific circumstances whether it be a corporation, LLC, partnership or even branch operation. We will handle and represent you for all U.S. tax issues and filings while operating your U.S. business. We will communicate with you in a timely manner regarding all the tax issues your company faces, and we will prepare the required tax forms so you can meet your filing obligations on time and have peace of mind. The U.S. tax rules are often complex and expensive if not handled properly, particularly for foreigners operating a U.S. business. As part of our ongoing tax planning services, we will focus on minimizing U.S. tax exposure while also guiding you on how to best take distributions from your U.S. based company. Our relationships with multiple banking institutions affords our clients the ability to efficiently open U.S. bank accounts, even with the strict guidelines in place for foreigners establishing U.S. accounts. The U.S. rules for payroll and social security integration are unique. We will guide you on how to properly set up payroll and meet all payroll related compliance matters for both IRS and State. In addition, we will guide you on your options surrounding health insurance, retirement and fringe benefits. As your CPA firm, we are looking for monthly or quarterly accounts/financial statements which we use to provide tax planning, tax preparation and advisory services to you. If you do not have your own bookkeeping department or are unable to prepare these statements, you can use our services to produce these and all other reports needed for your U.S. operations. In other words, you focus on running your business; we will take care of the rest. Our firm pays great attention to crystal clear communication with all our clients. This is particularly true for foreign owned businesses that may have special needs due to language and cultural differences. 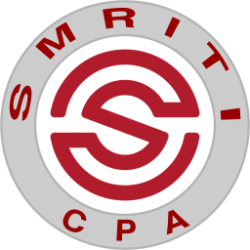 When you work with Smriti CPA LLC, you work with a team of professionals who are dedicated to client satisfaction, professionalism and availability to our clients year-round. Your questions are typically answered on the fly within minutes. Follow up questions are always welcomed. It’s a long-term relationship we are looking to build. Please call our office at (682) 597-6680 for any questions. Or you may click here for an initial free consultation.